Join us on Thursday, September 27th from 5–7pm at PUBLICS for the 2018 shortlisted artists for ANTI Festival International Prize for Live Art. All The Queens Men, Nic Green, Jeanne van Heeswijk and Sonya Lindfors will present their work and discuss with Publics’ artistic director Paul O’Neill and the audience. ANTI Live Art Prize will be awarded for the 5th time on 29th September 2018 in Kuopio, Finland. The world’s only international award for Live Art is €30,000, making it one of the richest cultural prizes in the arts. Four outstanding contemporary artists/collectives from across the globe are set to compete for the 2018 prize. The urgent contributions these celebrated artists make to cultural life share a fascination with the questions of our time, essaying ideas of inclusion, equality, community, diversity, feminism, power and blackness. Established by Australian artists Tristan Meecham and Bec Reid, All The Queens Men (AU) champion social equality celebrating diverse communities through creative actions, contemporary arts and socially engaged frameworks. Combining contemporary art forms and tropes, All The Queens Men engage people from different backgrounds in the making and performing of their inclusive works, celebrating these ‘everyday experts’ in exciting and technically proficient art contexts. Nic Green (UK) is an award-winning performance maker based in Glasgow, Scotland. Her work is varied in style and method, with forms often ‘found’ through collaborative and relational practices with people, place and material. Her work has received several awards, commissions and recognitions. Green is the 2018 Artist in Residence at National Theatre Scotland, and teaches Directing at the University of Glasgow. Jeanne van Heeswijk (NL) is an artist who facilitates the creation of dynamic and diversified public spaces in order to “radicalize the local.” Her long-scale community-embedded projects question art’s autonomy by combining performative actions, discussions, and other forms of organising and pedagogy in order to assist communities to take control of their own futures. Sonya Lindfors (FI) works with choreography, facilitating, community organizing and education. She is the founder member and Artistic Director of UrbanApa, an interdisciplinary and counter hegemonic arts community that offers a platform for new discourses and feminist art practices. Her recent series of stage works centralizes questions around blackness and the black body. In 2017-2018, Lindfors is the house choreographer of Zodiak – Center for New Dance in Helsinki. The international prize jury in 2018: Jacques Rancière (FR), known for his writing on equality, emancipation, education, aesthetics, art and knowledge; Eisa Jocson (PH), working with choreography investigating the labour, and representations of the dancing body; Lois Keidan (UK), co-founder of the London Live Art Development Agency. 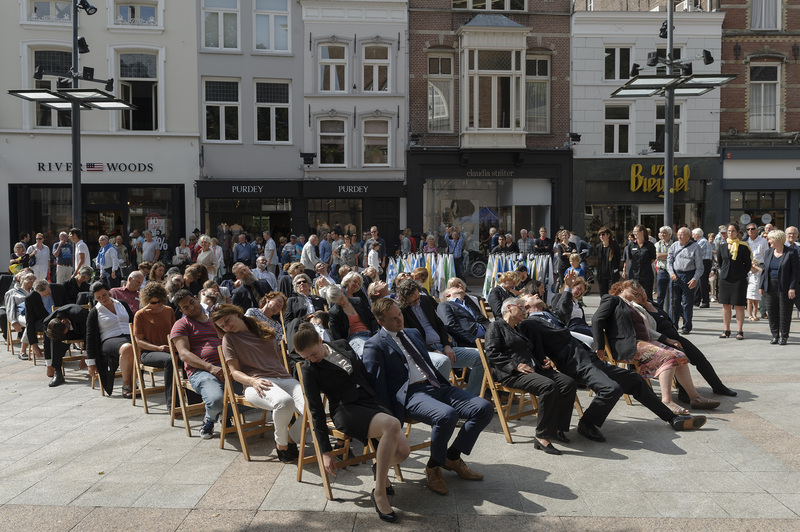 The 17th edition of ANTI – Contemporary Art Festival will take place between 25th and 30th September 2018. Artists from around the world will present projects engaged with ideas of play, playfulness, games and gaming. Held annually in Kuopio, projects inhabit the spaces of public life and directly engage communities and audiences. The festival is free to attend.